Let’s say you run as fast as you can for a minute. The first 10 seconds or so are pretty easy, but then you can’t run as fast anymore. With each passing moment your muscles burn a little more, and your speed slows. What’s happening? We’ll start with those first 10 seconds that were relatively easy, when your speed was fastest. The first one or two seconds were fueled by the ATP stored within your muscles. Then the next five seconds were primarily fueled by your phosphagen system, which is stored phosphocreatine (PC) within your muscles. So those first seven seconds came from a combination of ATP and PC, and that’s why it’s sometimes called the ATP-PC system, instead of the phosphagen system. Different name, same thing. Before we move on, it’s worth noting here that even though the phosphagen system is typically described as lasting 10 seconds, in reality it can last up to 30 seconds, depending on the athlete and his/her previous training. You know that you can’t run at your top speed, or perform a maximum isometric hold, for more than 10 seconds before things start heading south. That’s because your body’s quickest, “cleanest” energy source, the phosphagen system, has been taken over by your next quickest source for energy: glucose. How does the body get energy from glucose? Let’s briefly cover a little biochemistry. The foundation of the glucose molecule is a six-carbon structure. Those six carbons are split into two, three-carbon molecules, which are pyruvate. So anaerobic glycolysis consists of splitting one glucose molecule into two pyruvate molecules. This splitting forms two adenosine triphosphate (i.e., 2 ATPs), which the body uses to make energy. Importantly, splitting glucose into pyruvate is fueled by NAD+. You might not be familiar with NAD+ but it’s essential for life and present in every cell of your body. After fueling the split, NAD+ turns into NADH. Importantly, glycolysis also releases an acidic proton (H+). The importance of this will make sense shortly, so hang with me. Anaerobic glycolysis takes place in the sarcoplasm, the muscle’s gel-like substance that includes all of its components, except for the mitochondria. So now you know that splitting glucose (i.e., anaerobic glycolysis) results in the formation of pyruvate and NADH. If you’re wondering what those molecules have to do with lactate, here’s your answer: Pyruvate and NADH are what form lactate. But for this to happen the enzyme, lactate dehydrogenase, is required. Enzyme reactions work like a lock-and-key mechanism. In this case, the “lock” is lactate dehydrogenase, while the “keys” are pyruvate and NADH. Once those keys are inside the lock, NADH donates its proton to pyruvate. This transforms NADH into NAD+ and pyruvate into lactate. Importantly, pyruvate consumes an acidic proton (H+) from the muscle during this reaction. Therefore, the formation of lactate is alkalizing to the muscle. Indeed, if it weren’t for the formation of lactate, your muscles would become even more acidic, as shown below. What Happened to Lactic Acid? Before we move on, you probably noticed that there’s been no talk of lactic acid. That’s because there’s very good research that demonstrates lactic acid isn’t formed in muscle, at all. You can find that research here and here and here. In a nutshell, lactic acid was discovered in the 1770’s by a scientist that was researching sour milk. Since it has a mildly acidic flavor, and can function as a preservative, lactic acid was later added to foods, as well as brewing and flavoring beer. Lactate is everyone’s favorite scapegoat. 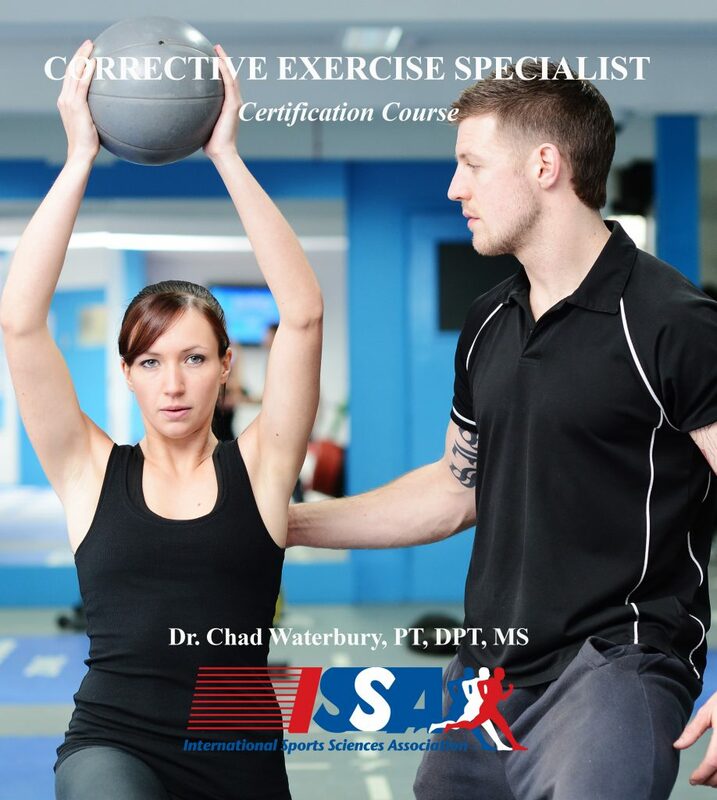 It’s been blamed for everything from the painful “muscle burn” to fatigue to muscle soreness. It’s not directly responsible for any of those things. In fact, lactate can be used to fuel muscle contractions, which keeps your efforts going. It can also be sent to the liver where it’s converted to glucose (i.e., gluconeogenesis), and then sent back to the muscle to continue with anaerobic glycolysis. So lactate is your friend, but he hangs around with shady characters. The problem with lactate is that it’s always accompanied by protons (H+), even though it consumes one during each lactate dehydrogenase reaction. Proton accumulation is actually due to the breakdown of ATP (i.e., ATP hydrolysis) in muscle. When muscles are contracting intensely they require a lot of energy from the breakdown of ATP. 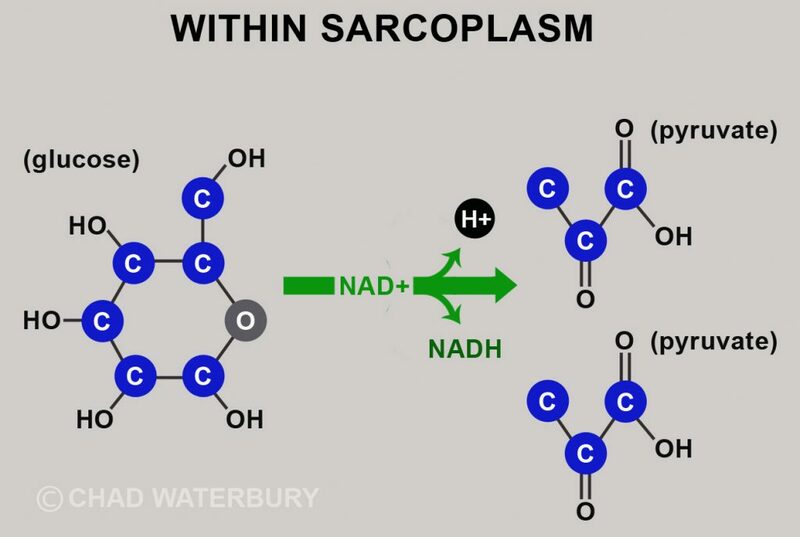 This causes a huge release of protons (H+) within the muscle, but the lactate dehydrogenase reaction can’t consume enough of those protons to offset the acidity (i.e., metabolic acidosis). That proton accumulation is what causes “muscle burn” and nausea since the pH of the muscle and blood are decreasing (i.e., becoming more acidic). Protons also decrease the speed and force of your muscle contractions. Therefore, lactate is guilty by association. This is why scientists study the rate that lactate increases during intense exercise. The measurement gives them an idea of how much H+ is being accumulated. Because if lactate is increasing, so are protons. The point where lactate starts to rise rapidly is the lactate threshold. As this level gets higher, your speed and power drop off substantially. 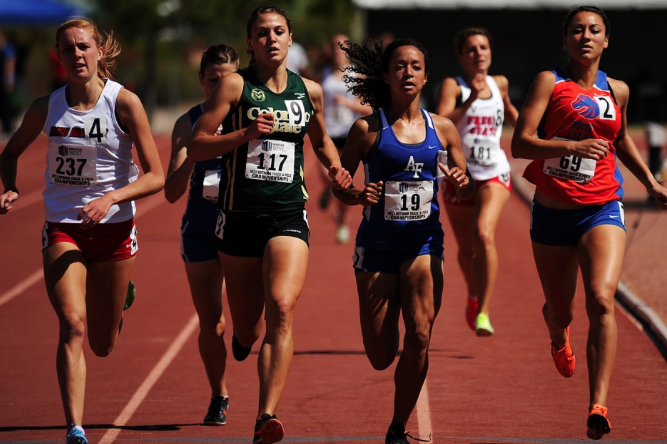 Therefore, the goal of any good strength and conditioning program is to train your athletes to sustain more speed and power before hitting their lactate threshold (you can find the general training parameters in my last blog). The following graph gives you a visual of what I’m talking about. 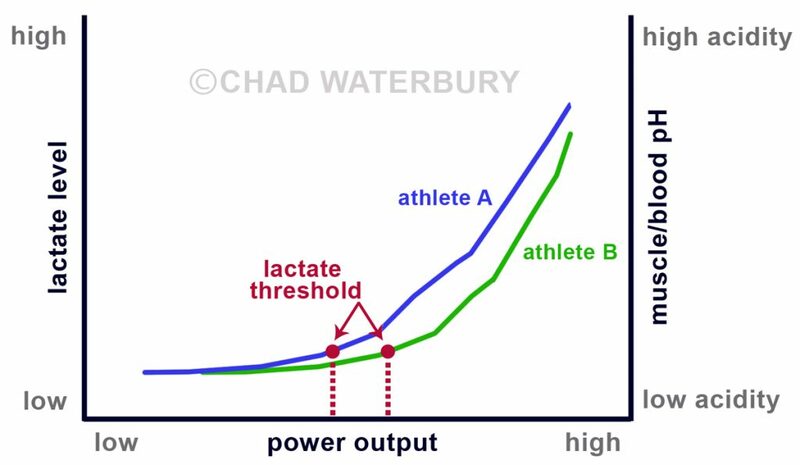 So now you know a little bit more about lactate, and why H+ accumulation should be avoided to keep your power running strong. 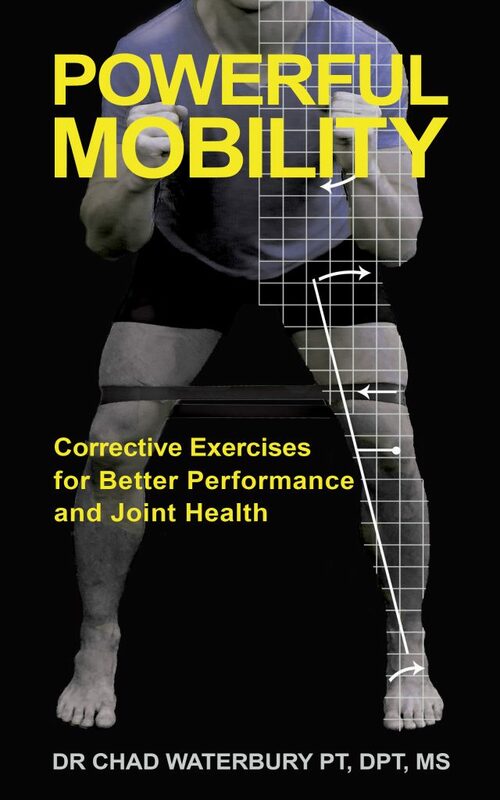 Speaking of power, my latest book Powerful Mobility is now available on Amazon for only $9.99. Want some more scientific info about lactate? Check out this research.